The PROSEL curriculum and methodology is the summary of three years’ work among five partners’ countries (Italy, Spain, Croatia, Slovenia and the Netherlands) and six different universities (University of Perugia, University of Udine, Autonomous University of Barcelona, University of Zagreb, University of Slovenia and the Open University of the Netherlands). The project EBE-EUSMOSI aims mainly at develop a European reference model able to assess the quality of school inclusion in an Evidence Based Education (EBE) perspective. 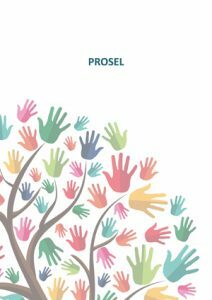 The document presents the PROSEL curriculum that aims to support all learners and to develop and build their social, emotional and prosocial skills. In the end of the three key sections we provide additional resources and you can find further references for all sections in an annex at the end. ← Teachers’ Guidelines and Training Curricula out now!